My Creative Time: HAPPY FRIDAY & a "Guest Designer!" GOOD morning & HAPPY HAPPY FRIDAY to ALLL Of YOU! ;) Today I have a SWEET & TALENTED "Guest Designer" for you today! Please welcome Miss Raven w/loveforstamps.com! But before we get to Miss Raven's BEAUTIFUL card, I through a QUICK & SIMPLE card together for you today! 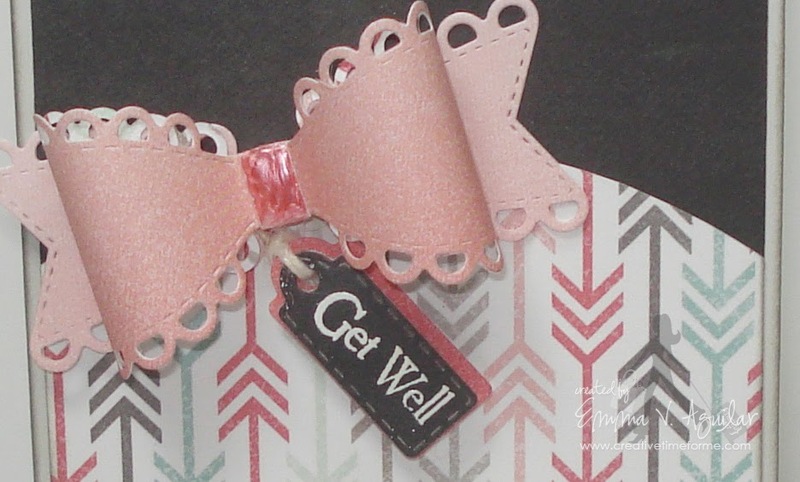 Okay, I kep this card simple, I just went through my scraps & add the pattern paper , then add my Fun Size Bow Die along w/the tag & sentiment from my Chunky Jar Accessories set! Okay, now onto my AWESOMELY TALENTED "Guest Designer", Miss Raven! She created this AMAZING card using my "And Then Some" set & I just LOVE how it came out! Don't forget to visit her blog HERE to see MORE! Happy Friday Emma!!!!!!! First off hoping that your poor finger feels better REALLY soon!!!!! LOVE your gorgeous card!! The paper and card design is awesome but I just LOVE that beautiful bow to pieces! FAB card my friend! Have a GREAT day and weekend!!!! AWWWWW so sorry to here about your thumb......gosh girl this really does stink.....geeze all I can think of is hope you made it feel a bit better when you were holding your Starbucks as the warmth should help the throbing....so Dr. Joan says drink lots of starbucks and rest your thumb.....and soon you'll be able to give 2 thumbs up to your crafting *LOL* Your card is so fantabulous and fun you always come up with outstanding & clever ways to create with your marvy goodies. Glad your hubby was home this week it's always fun to have all your guys around. Enjoy your week-end sweetie and I'm raising my Kuppa Kuppa Keurig & toasting to your thumb feeling all better. Pretty card Emma...thumb cuts are the worst...they hurt like the dickens!!! 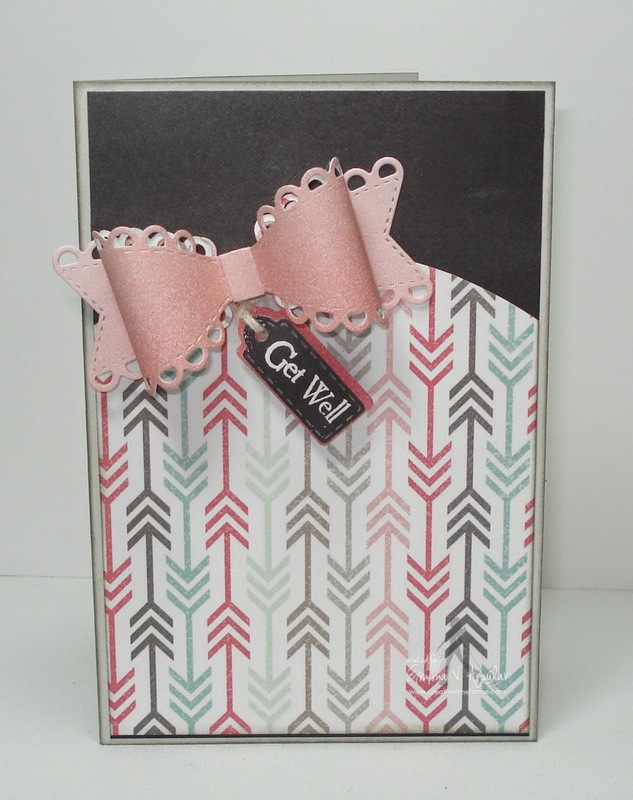 Great card...I like the fun size bow and how it matches a color in the arrows paper. Pretty card. I like the gold dots on Raven's card too. Off to check out her blog! BEAUTIFUL card Emma, hope that your thumb gets better soon sweet lady!!! :( and SUPER DUPER job Mrs. Raven on your card!! !